I listen to a lot of audiobooks (nine last month; 70 last year), but recently I was having one of those “I have 400 books on my to read list and still can’t pick what to read” bouts of choice paralysis. Then I stumbled across my copy of Howl’s Moving Castle, bought on sale a year or two ago, and it was just what I needed. 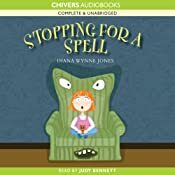 Narrated superbly by Jenny Sterlin, we follow Sophie Hatter, tragically the eldest of three sisters in a land of fairy tale rules and seven-league boots, after she’s cursed by a witch and transformed into an old crone. 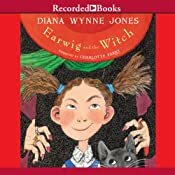 She gains entrance to the legendary moving castle of the wizard Howl and strikes a bargain with Calcifer, a fire demon, to be cured in exchange for freeing Calcifer from his contractual servitude to the wizard. It’s just a wonderful book with a wonderful protagonist in Sophie, who quickly embraces the authority to lecture and cajole that her apparent age gives her; a book which doesn’t take itself too seriously; and an audiobook which is done so well, so earnestly, and so authentically that those with an ear for dialects might begin to wonder why Howl speaks with a “tapped r” long before we find out what’s sewn across one of his shirts. But I’ve had the audiobook sitting in my digital library for quite a while, unheard. 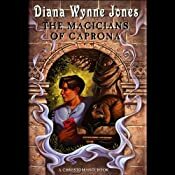 It’s thanks to the Diana Wynn Jones 2012 Tumblr, which has been posting and encouraging guest blogs up to and through an April 22 public celebration in Bristol of Wynne Jones’s life and work, that enough pieces of the cosmos came together to finally convince me to press play, leaving me very glad indeed that the universe contains books like Howl’s Moving Castle. It was a delightful pit stop on a month of mostly Serious Business, superbly narrated, and highly recommended, and a book I look forward to sharing with my kids over the years. 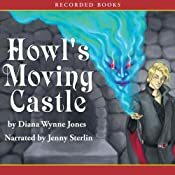 Sterlin provides a consistent voice for all three books in Wynn Jones’s “Howl’s Castle” world: Howl’s Moving Castle (1986), companion Castle in the Air (1990), and more direct sequel House of Many Ways (2008). 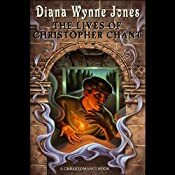 Gerard Doyle voices the Christomanci series: A Charmed Life: The Worlds of Chrestomanci, Book 1 (1977), The Magicians of Caprona (1980), Witch Week: Chronicles of Chrestomanci (1982), The Lives of Christopher Chant (1988), Conrad’s Fate: The Worlds of Chrestomanci (2005), and The Pinhoe Egg (2006). 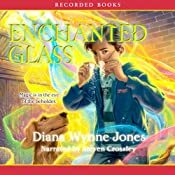 A last standalone novel for teens, Enchanted Glass (2010), is narrated by Steven Crossley. 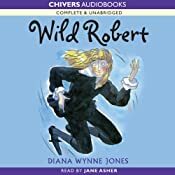 Wild Robert (1989), narrated by Jane Asher; Stopping for a Spell (1993), narrated by Judy Bennett — a collection of 3 fantasies; and Earwig and the Witch (2011), narrated by Charlotte Parry, published shortly after Wynn Jones’s death. 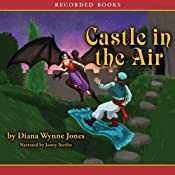 Whether you are discovering Wynn Jones’s books for the first time, or rediscovering them, these stories were meant to be read aloud — as all stories are. 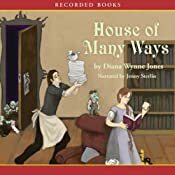 Recorded Books has done a wonderful job casting, directing, and producing these stories, and they are an aural legacy of Wynn Jones’s works of which any author can be proud, and which will reward any listener. Sam publishes Bull Spec, a quarterly magazine of speculative fiction available in print and PDF. He also maintains a Tumblr blog on (primarily) science fiction and fantasy audiobooks. Funny enough, I first came to her work for her “Tough Guide to Fantasyland”. Hm… I don’t see an audiobook for that one. Calling Neil Gaiman Presents! Also: no Dalemark, Derkholm, or Magids, or quite a few of the standalones.